Alexander Korda leaving Hollywood in 1930. His nephew Michael Korda wrote: "Alex, though broke, is perfectly dressed, traveling first class and has three good cigars visible in his breast pocket!" 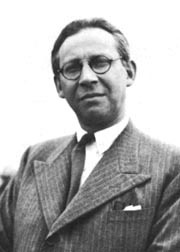 Sir Alexander Korda, a Hungarian cosmopolitan, was one of the many promising European directors that emigrated to Hollywood during the 1920s. He had difficulty working within the confines of the large studios as a contract director. In 1930 Korda turned his back on the American studio system to become an empire-builder overseas. He settled in London, and made The Private Life of Henry VIII, perhaps the most influential British film of all time—and the movie that is credited with single-handedly creating a boom film market in England. 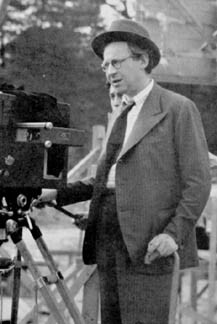 Alexander Korda became the first member of the film industry to be knighted. He intended to make his independent production company, London Films, the most important studio outside the United States. After achieving his goals overseas, he intended to set out again to conquer Hollywood. Alex Korda served as a stockholding partner at United Artists, and on several occasions made unsuccessful bids to become the dominant owner of the UA distribution company. In 1941 he became a founding member of the Society of Independent Motion Picture Producers. "Alex though broke": Korda, Charmed Lives, p. 148f.